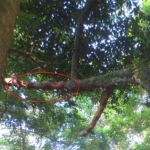 Tree risk in Singapore - Is that tree safe? 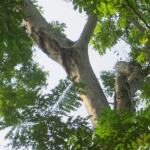 Tree risk in Singapore – Is that tree safe? – 5 Things you can do. Falling tree kills X, injures Y, damages Z. You have seen the headlines, shared it on social media, or perhaps even written to a political representative about it. With approximately 2 million trees planted in Singapore, perhaps you are wondering what basic actions you can take to safeguard yourselves and your family. We’ve come up with a list 5 things you can do to stay safe. 1) Don’t stand under trees during a thunderstorm. Anyone under that tree deserves their Darwin Award. This one is a no brainer. Don’t stand under trees when there’s a thunderstorm. Lightning absolutely loves Singapore and taller objects (like trees!) are prone to get hit by lightning. 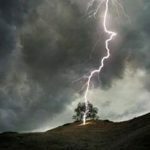 Lightning takes the path of least resistance from the top of the tree to the ground. Sap and water just under the bark conduct a lightning strike much better than wood. The liquids get superheated and explode outwards. You do not want to be next to a tree when it happens. Even if the lightning does not hit you, the damaged tree might. Thankfully, many of the taller trees in Singapore have lightning protection installed. These grounded metal wires provide a path of super low resistance for lightning to pass through. They look like naked metal wires running from the top of the tree and into the ground. You still shouldn’t seek protection under these trees though, the wires are there to protect the tree from lightning, not you. The answer to that question is, arborists are not meterologists. Nobody has come up with a way to calculate exact wind and water loads, matching appropriate trees to storm conditions. 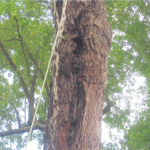 Tree risk assessment is done to ensure trees are safe in normal conditions. When water and wind load increases during a storm, all bets are off. The only way to make a tree completely storm-proof is to grow it indoors. 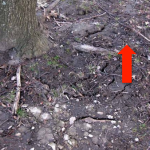 2) Do NOT go near a tree if the ground next to it is cracked or lifted. Where are roots found? If you answered “Underground.” Congratulations! You’ve scored some points in Common Sense. Now apply that common sense and think, what happens when a tree is begins to tilt? All those roots will turn into an underground see-saw, the ground will sink on one side and get lifted on the other. A clear sign of imminent tree failure. Trees doing the see-saw, staying near them is what industry experts call a REALLY bad idea. 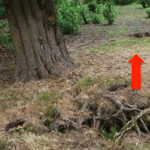 Unless the tree is of great importance, removal is often recommended when this happens as the tree has managed to tear the water-absorbing portion of its roots. 3) Avoid trees with large cracks or cavities. Living things don’t like having holes poked in them. Us humans deal with cuts by triggering immune response, blood clotting, and skin regrowth. Similarly, trees have a healing strategy when cracked or cut. They grow wound wood, sealing off – compartmentalizing – unhealthy sections away from healthy wood. Unhealthy sections can then be sacrificed to decay and shedded without much consequence to the tree. If wound wood does not grow quickly enough, it is like an infected wound in humans. Fungi and bacteria attack healthy wood within a tree, resulting in a cavity. Cavities, also known by the layman as “Holes”. 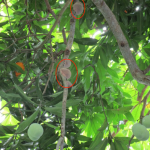 As a cavity grows, structural strength of a trunk or branch is weakened. Eventually, the tree may successfully heal over the cavity sides and compartmentalize the cavity. Wound wood is harder and stronger than regular wood. Absolutely ancient trees can be completely hollow, but remain stable and healthy. “Cavity? Meh. I’ve been through worse.” – Some old tree. How do you tell if a cavity is safe? That’s one of the jobs an arborist gets hired to do. 4) Look out for dead branches. Trees shed branches, it is a normal part of their lives to discard parts that are no longer useful and grow new ones. Even so, it may take a long time (to us humans) before leafless branches detach and fall. Our job is not to be under a branch when it happens. How do you tell a dead branch is about to fall? Cavities are a good bet, as are visible fungi. Sure signs that trees aren’t using these parts any more. Proactive tree owners perform frequent crown cleaning on their trees, ensuring that dead branches are removed before they fall. 5) Contact the tree owner if you see something dangerous. All trees in Singapore grow on land that are owned by someone. Tell the people responsible that their trees are endangering public safety. 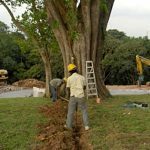 If the trees are on government owned land, the appropriate agency may be contacted via the municipal service office at www.oneservice.sg. 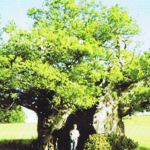 Stupsi explains the tree – Claus Mattheck, pg 51.